On the jacket: Alisha Chopra is a drop-dead gorgeous, smart and happily in love with Mayukh. Life is good for a girl in her early twenties: movies, parties, outings. But all of it comes crashing down when Mayukh tells her that he needs a break from the relationship. Just when Alisha is trying to piece her life together – broken heart, pulled spinal muscle and all – along comes the rich, handsome and charming doctor Dishant Roy. He is exactly what she needs, everything she had dreamt of. Only, he has a fiancee. Should Alisha tell Dishant that she loves him? Will he love her back? Can she live through another heartbreak? Should she fight for Dishant, the man of her dream? Or just remain friends for life. Review: Reading books from new and first time authors always give me an encouragement to write one. Well, that’s a different story altogether. But, coming back to the book ‘Until I Met You’, it led me through a feeling of bonding which exists between two set of people. One of them is a bond of friendship and the other one is a bond of love. This clearly shows how the author has brought up this subject without even directly touching upon it. In fact, the author chooses to concentrate only on the love story as a prime plot. The story is an easy read as I finished it in one go on a Sunday afternoon. Armed with a cup of tea, I finished the cup in less than a couple of hours and it left me with a smile on my face. A smile indicating the contentment of reading a good romance story as well as a happy ending. The story is extremely well narrated revolving around Alisha’s life. Some of the portions involving Alisha and her best friend, Aditi are pure fun which takes you back to the memory lane of college days. Yes, those where the days when almost all of us had most fun, crushes and were in awe of some professors too! Coming to the characters, they are vividly written and are served fresh on the table. The more you start flipping the pages of the book, the more you will fall in love with them. At least, I did, especially the central characters of Alisha and Dishant. There isn’t any proof reading errors and the story is nicely edited too. 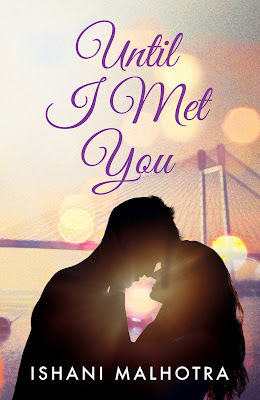 Overall: If you want to read a light romance with a good story told like a pro, ‘Until I Met You’ is the book to be read. Go for it!